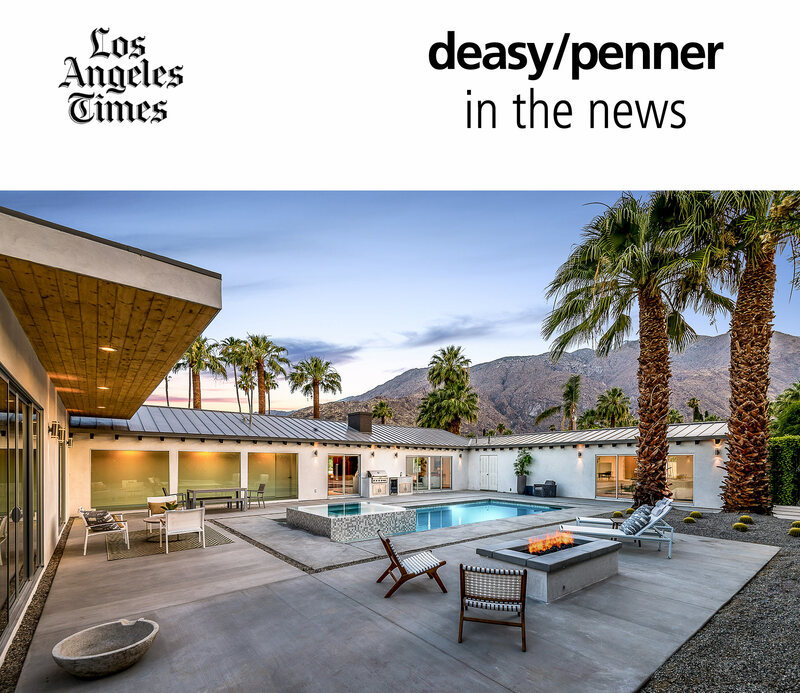 A revamped home that once belonged to former Palm Springs mayor Florian Boyd has come up for sale in the desert city for $2.395 million. Built in 1940, the contemporary residence dons a much different style than the Spanish hacienda vibe it displayed during Boyd’s ownership. The colorful tile and clay tile roof have disappeared, replaced by an indoor-outdoor floor plan under a tongue-and-groove ceiling. Rows of palms and cacti landscaping fill out the front yard. Inside, four bedrooms and 3.75 bedrooms are spread across 3,260 square feet. Italian tile floors line the great room, which is brightened by walls of glass. The open-concept space also holds a dining area and sleek kitchen; each are topped by modern lighting fixtures.